Peterborough BCKA are pleased to announce that two of our members collected titles at the Peterborough Evening Telegraph sports awards, the other finalists collected 'Highly Commended' awards in very competitive sections, well done to all! Peterborough BCKA are please to announce that the Peterborough Evening Telegraph sports awards, to be held at the Cresset, Peterborough on 30 January will feature a selection of our team members. The following members were nominated in the voting for Sports person of the year in their categories. Eddy, Freya, Jaden, Leon and Andy collected enough telephone votes to make it to the final three, unfortunately Grant fell slightly short of the final three, but will attend the awards as part of our team along with Chelsea Munday, Courtney Brown and Simon Munday. We hope to have a few of these finalists collect the title, it would be especially nice to win the team of the year as we are going against teams such as Peterborough United football club, Peterborough Town cricket club and Peterborough Lions rugby club. Watch this space for an update after the presentation and good luck to all. A brand-new club is opening on January 5, 2015, I'm fully expecting this to be a very good and successful club. DISCOUNT FOR FAMILIES (£1.00 discount for each additional member). Between Peteborough BCKA competitors Chelsea Munday, Freya Molloy, Jaden Harris, Eddy Paddock, Leon Gold and Grant Brown have, in 2014, collected an impressive 52 titles, 25 of which have been at British or European level. 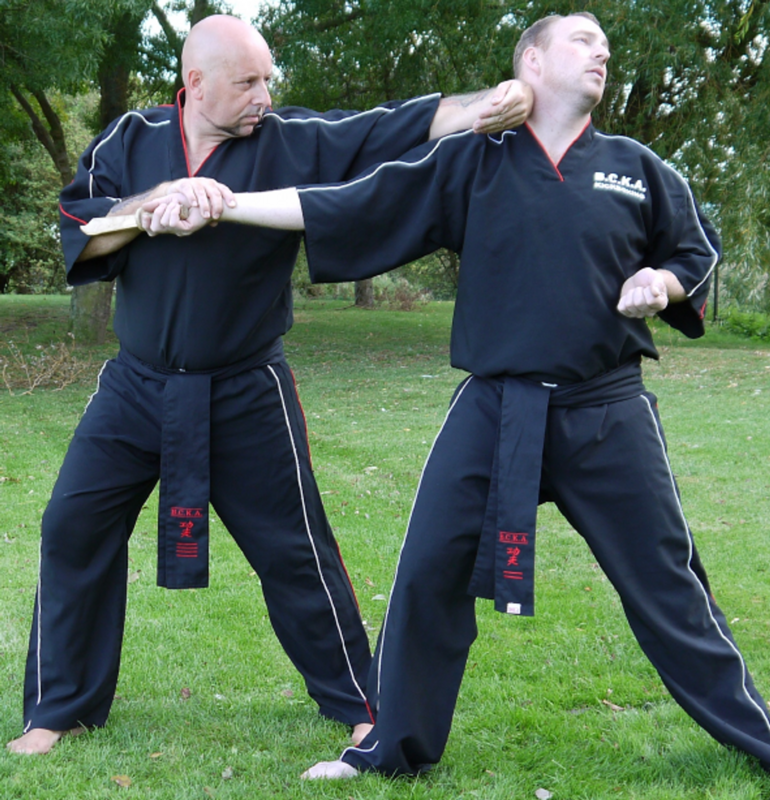 So it should come as no surprise that executive instructor Andy Whitwell thinks his fighters all have a great opportunity to win medals at the championships, which takes place in Albufeira from November 1-4. He said: “I am confident that they will do very well, they are six of the best. “These students are on top of their game and are by far the best fighters in their categories in this area. “The loyalty and dedication shown by these members make them a pleasure to teach and work with. “We are all part of a great team working closely with the England squad, pulling in the same direction and I believe this is the backbone of Peterborough BCKA and the reason why we are so successful. “Without loyalty and respect the team would not enjoy the current results. Courtney Brown of Whittlesey also qualified for the championships but recently had a baby daughter so can not make the trip. 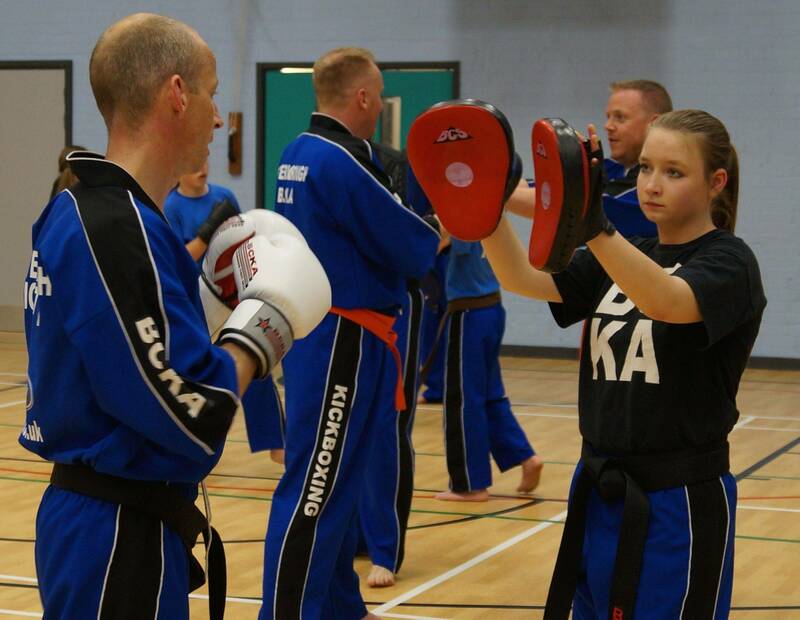 The kickboxers are looking for sponsorship to help fund their championship dreams. 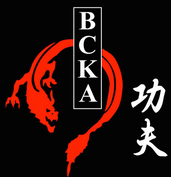 The Peterborough BCKA club have six of their fighters preparing to take on the world. Representing England in the WKC World Karate and Kick-boxing Championships in Portugal next month will be Chelsea Munday, Leon Gold, Jaden Harris, Grant Brown, Freya Molloy and Eddie Paddock. The championships take place in Albufeira from November 1-4. Proud coach Andy Whitwell said: “It’s a great achievement to have six fighters from one club competing and I am obviously very proud. “And I am confident they will do very well. They really are six of the best. To qualify for the WKC World Championships fighters had to win medals at the WKC British Championships. And there were in fact seven Peterborough fighters who achieved that but Courtney Brown from Whittlesey is unable to travel due to family commitments. The six making the trip have won an impressive 52 titles in 2014, 25 of which have been either British or European. A further 21 titles were gained at open competitions. The outstanding students train five to six times a week and apart from improving their skills they also do a lot of road running and circuit training. Great news from the FSK British Championships which was held at George H Carnall Sports Centre, Kingsway Park, Urmston, Manchester on Sunday 31st August. All Peterborough fighters are on top form, winning numerous 'open Championships' and British titles this year already and on Sunday the fighters took part in the prestigious FSK British Championships. The fighters are training extremely hard and I believe that if they keep calm and focused at the world championships in Portugal at the end of next month, all have the potential to become world champions. I am very proud of all of the fighters and we are now looking for new starters to learn from our squad and maybe go on to become world champions too, however fighting and competing is not compulsory as we offer kickboxing purely for fitness training too. Boys U13 45kg Continuous Silver. Boys 13-15 45kg Points Gold. Girls 13/15 50kg Points Gold. Girls 16/17 50kg Points Gold. Girls 13/15 50kg Continuous Silver. Girls 13/15 50kg Points Bronze. Men's 75kg Points Runner Up. Girls 16/17 +65kg Points Silver. The event on 20th July was held at George H Carnall sports centre in Manchester and was the WKC European Open Championships, points and light continuous categories from 5 years to Veteran. Seven Peterborough Fighters took part in this event gaining an impressive 13 medals, with one European Champion in Freya Molloy. I am very proud of this group of fighters, individually they are doing well but as a team they are encouraging each other and training hard together, 2014 is proving to be a good year for us, the bond in this team is extremely strong and the support for each other and from the traveling army of parents and friends makes Peterborough BCKA a force to be reckoned with at any and every event we attend. This was a friendly get together from mostly Peterborough Fighters and although a quite small event the quality of fighters there was very good. Competitors were matched up to create some excellent fights with the 'main bout' being between Peterborough BCKA Grant Brown and Joe Cheetham of Verve kickboxing, Grant won a thrilling fight of two rounds to collect the trophy and the prize money that was put up by the organiser. As expected, our fighters dominated every category and crowned champions of 13 categories, from the 15 categories entered, proving once again that Peterborough BCKA are the strongest team in the area! These were held at Lodge Park Sports centre, Corby where around 300 fighters assembled to compete in the National Championships, as always the competition at this prestigious event was of the highest level but my fighters did extremely well, fighter of the day at this event was Edward Paddock who entered four categories and became national champion in each one, winning his own category was expected but when he stepped up to fight boys that were over 6' while giving away three years and a lot of weight, he did exceptionally well! Every fighter from our team gave an excellent display with some new fighters coming through and gaining valuable experience at the highest level. Jaden Harris - under 50 kg open grade Champion. Edward Paddock - under 45 kg mixed grade boys Champion. The Norfolk Open is staged in Stalham, Norfolk and once again our fighters went along to compete although I only sent a selected few to fight. The event was smaller than anticipated and our fighters dominated every single section they entered becoming champions in 14 of the 17 Categories entered. There is another event in Norfolk later this year but I am unsure whether we will attend as the competitors didn't test our fighters sufficiently. As usual this event did not disappoint and there was excellent fighters on display to rival our fighters, this event gets stronger every year, along with the fighters that attend from far afield. Our usual fighters collected trophies but I was particularly pleased for two newcomers that stepped up and took on all comers in their section. Ashton Brannigan, a young man from Whittlesey that's won his first trophy at an open competition and Vincent Spencer who collected third place in continuous along with a champion trophy, the third-place trophy was well deserved after fighting in the -65kg boys section and eventually beating an experienced black belt in the third place fight off, Vincent is only an orange belt and been training for a short period of time, he listened to my instructions during the fight and will go a long way within the sport. Vincent Spencer - boys points Over 5ft.4, beginners, 1st. Vincent Spencer - boys continuous, U65kg intermediate/advanced 3rd. Taylor Evans - boys points, pee-wee. Runner up. Braydon Evans - boys points, U4ft.4 advanced runner up. Jazmyn Evans - girls points, U4ft.8, advanced 3rd. Ashton Brannigan - boys points, U4ft.4 beginners, 3rd. Freya Molloy - girls points U5ft.4 advanced 1st. Freya Molloy - girls continuous U60kg advanced 1st. Stamford Festival Focus mitt challenge. The challenge was set and over the day many people took on the focus mitt challenge, the aim is to land as many clean punches to the focus mitts in one minute...the winner of a free uniform and entry into our Stamford club is Bethan with 204. Well done Bethan, hope to see you in the club very soon!